I wish I had the courage to undertake a journey like this. I have some idea of just how hard and miserable this trip would have been but the author makes it sound like a walk in the park. Gareth Armstrong's narration is absolutely excellent here and I really enjoyed his retelling of the story. 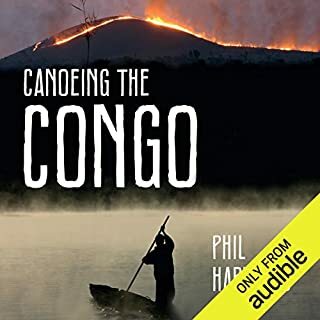 If you want to know more about The Congo, this is as good a place to start as any. It is an admirable adventure and possibly one of the last remaining on the surface of this increasingly tiny planet. 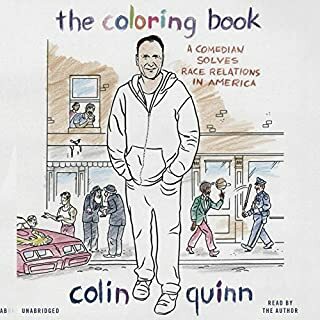 Colin Quinn has noticed a trend during his decades on the road - that Americans' increasing political correctness and sensitivity have forced us to tiptoe around the subjects of race and ethnicity altogether. Colin wants to know: What are we all so afraid of? Every ethnic group has differences, everyone brings something different to the table, and this diversity should be celebrated, not denied. So why has acknowledging these cultural differences become so taboo? Colin Quinn captures the joy of real diversity - the differences between us celebrated and respected rather than varnished over and ignored. It reflects the reality that we have always fought with each other but this does not mean hatred in absolutes. It's also a very funny, well-narrated work that doesn't outstay its welcome. I can see how this material would upset a Millennial but that really just tells you what is wrong with that generation. This is a great use of an afternoon and I completely recommend it to anyone. 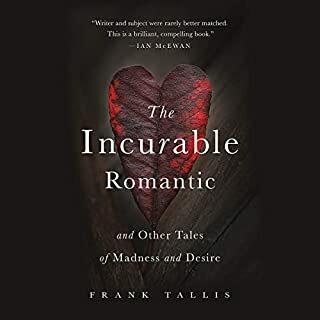 Frank Tallis recounts the extraordinary stories of patients who are, quite literally, madly in love: A woman becomes utterly convinced that her dentist is secretly infatuated with her and drives him to leave the country; a man destroys his massive fortune through trysts with more than 3,000 prostitutes - because his ego requires they fall in love with him; a beautiful woman's pathological jealousy destroys the men who love her. Along the way, we learn a great deal about the history of psychiatry and the role of neuroscience in addressing disordered love. This isn't in my typical sphere of interest but it caught my eye in my Xmas shopping spree and thus landed in my library anyway. It's a superbly told fly-on-the-wall perspective view of a psychiatrist's couch when love makes people go mad. I learned an enormous amount about various peculiar disorders, I laughed a bit and found myself scared stiff when the author confronted a would-be mass murderer. If you think you might enjoy this - I can pretty much guarantee that you will enjoy it. Absolutely fantastic book and one I shall return to again at a later date. 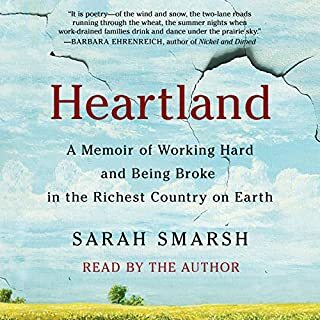 This is a valuable account of what it's like to be white, working class and forgotten by society. 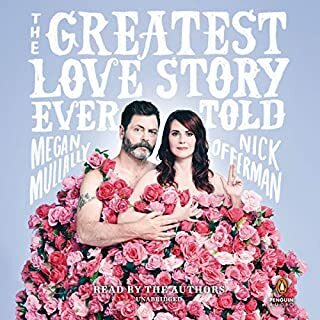 Sadly, it's also the worst narrated work that I've heard on Audible so far. It's like listening to a robot with an American twang mince every single thing about it. Sentence structure is destroyed as the author reads random strings of words before picking up the next - if there's ever a case for professional narration, this is it. 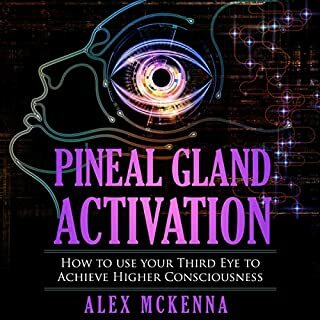 Read this book, don't listen to it for the sake of your sanity. Thumbs very much down. This is a sweet tour of what makes Nick, Megan and their relationship tick. 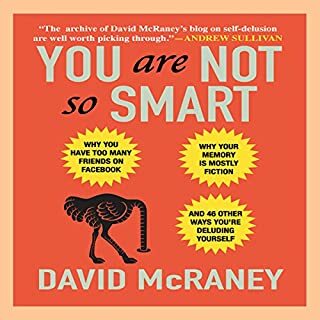 It has no real point or objective and it certainly won't change your life but it is sweet, interesting and often funny. It feels like a real peek behind the scenes into their lives and it's funny how much Nick comes across like Ron Swanson at times. Though less ultra-macho. I am very glad that I listened to this; it's uplifting and that's a pretty good outcome. This is very well done though the narrator occasionally feels a little pompous. It's a solid recap of a cognitive bias and argumentative flaws. I very much enjoyed it even if it's not treading any new ground. It's good to hear ideas restated in an interesting fashion to help you take them on board and it succeeds very well in this respect. If you want something non-fiction that's a little fun; this is for you. I am not sure I am completely convinced by the content here but it is an interesting perspective on things and while this may not feel right for me, it might be great for you. The narration is very clear and well-paced and you won't find it a drag to go through the material. I have definitely learned something here and that means it was very much worth my time. Please Note: I asked for and received a review copy of this work. That doesn't change my opinion, which is always my own. I can see this upsetting a large number of children posing as adults but I thought it was laugh out loud funny. 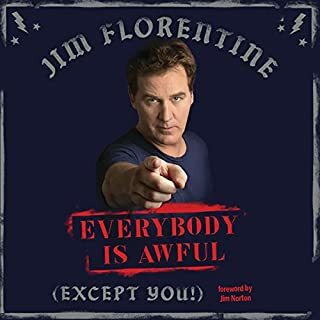 Jim tackles all the annoyances of modern life and then takes a metaphorical dump on them. I can't ask for more from a comedy recording than that. 100% recommended. As long as you like this kind of thing, if not, you'll hate it. John McCain was an American politician and military officer who served as a United States Senator from Arizona from 1987 until his death in 2018. He previously served two terms in the United States House of Representatives and was the Republican nominee for president of the United States in the 2008 election, which he lost to Barack Obama. 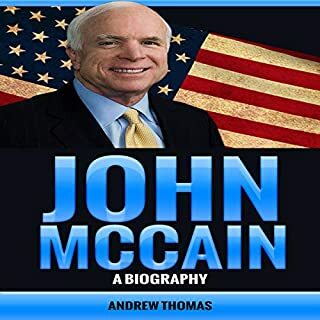 I am not a huge student of American politics so a 30 minute brief biography of John McCain seemed to be a sensible place to start. It's enough to get a sense of McCain's achievements and contributions without getting bogged down in large amounts of extraneous detail. Almost a Cliff Notes to the man's life. Eddie Leonard Jr.'s narration is very clear and delivers this concise text in an interesting manner. Please note: I requested and received a review copy of this work. That doesn't change my opinion of it. Every time I see or hear from Sara I am struck by just how bright and witty she is. 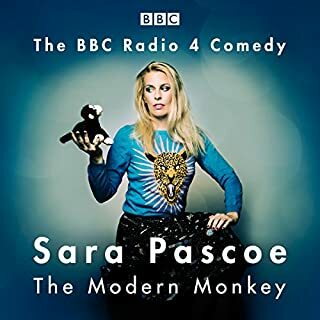 I really enjoyed this, she's one of the funniest modern British comedians and I would happily recommend it to others and would listen to pretty much anything she records in the future too. Unless it's a Tribute to Lenny Henry... we all have limits.